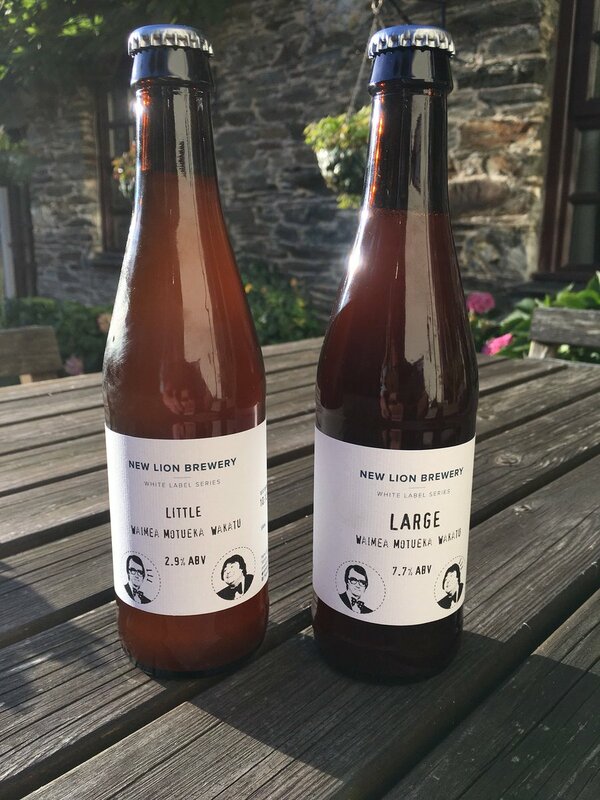 Little 2.9% and Large 7.7% were both brewed using the same malt bill and the same New Zealand hops (Waimea, Motueka, Wakatu) for bitterness, whirlpool and dry hopping additions. Very sessionable Little is also light on the palate and pleasantly refreshing. Dry fruit aroma and light bitterness makes this beer a perfect companion for most meals. Heavier Large is slightly darker and fuller on the palate. Higher alcohol content makes this beer a proper New World IPA style. Bigger on strength and bitterness but still very drinkable. 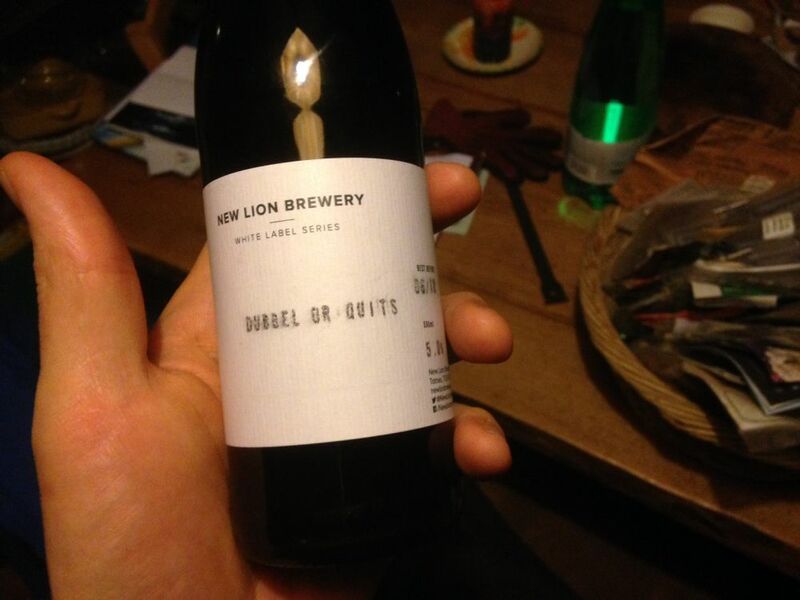 The splendid labels were designed by Nathan Carter, one of our members. We love working with our members, bringing them into the everyday life of the brewery! 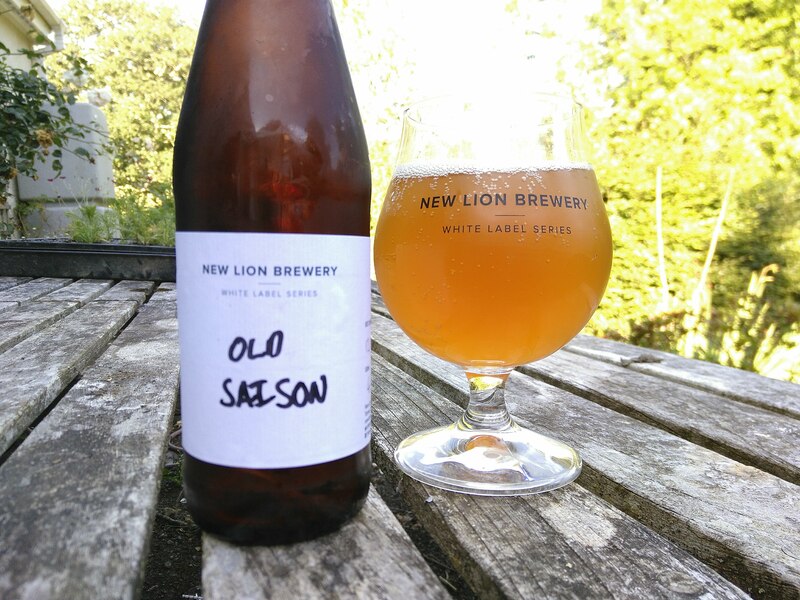 A pale and refreshing table saison. Kept in steel casks for nearly a year. Lightly fruity aroma accompanied with Belgian yeast accent. Moderate bitterness and soft malt character finishing with lightly phenolic, spicy flavour. Easy to pair with most kinds of food. Serve chilled. Fruity berry aroma. Lower acidity than Chuckleberry. Touch of stone fruit flavour Mellow finish. 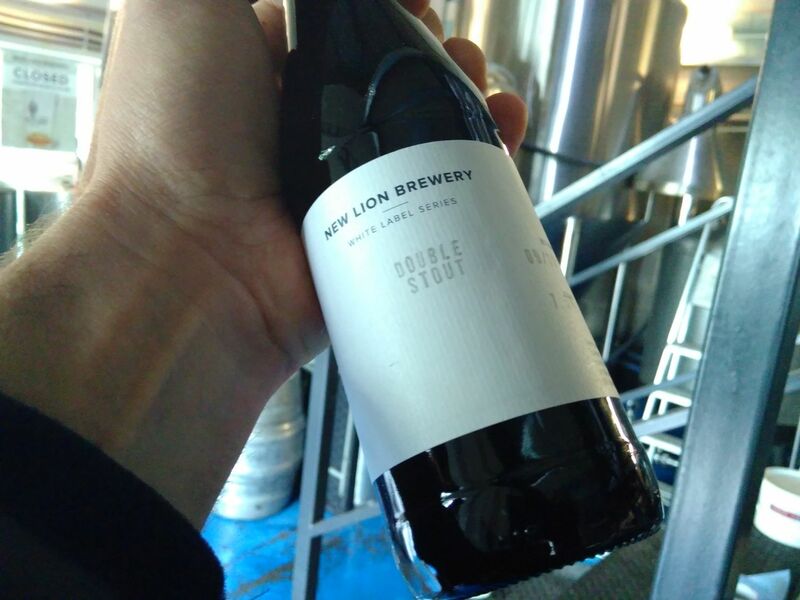 Second iteration of award winning Double Stout (7.5%). 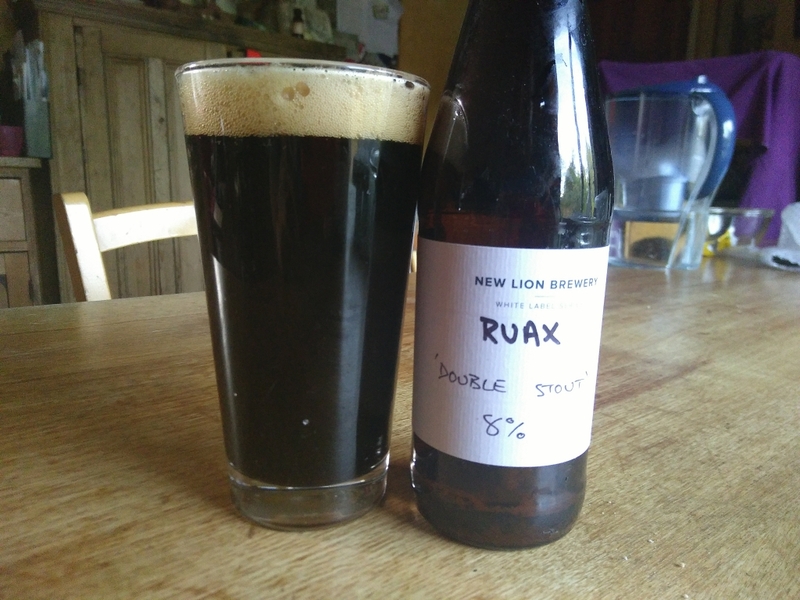 Ruax with slightly higher ABV (8%), less sweetness and improved drinkability makes it a perfect dessert treat. Roasted coffee and dark chocolate nose leading to well balanced taste. Sticky mouthfeel and roasted malt finish leaves you wanting more. [RELEASED 23 March 2018] Last year we got our hands on some beautiful hops and used them judiciously in several New England style Pale Ales. The best of these (D.I.B.S and our DEYA collab Ecstasy of Gold) were ABV heavyweights, resulting in some famous hangovers! With Lacewing we’re taking all those delicious New England characteristics and delivering them in a highly session-able 2.8% ABV package. Brewed with Thomas Fawcett malted barley, wheat and oats and hopped exclusively with Ekuanot it’s available in 750ml bottles, cask and keg. 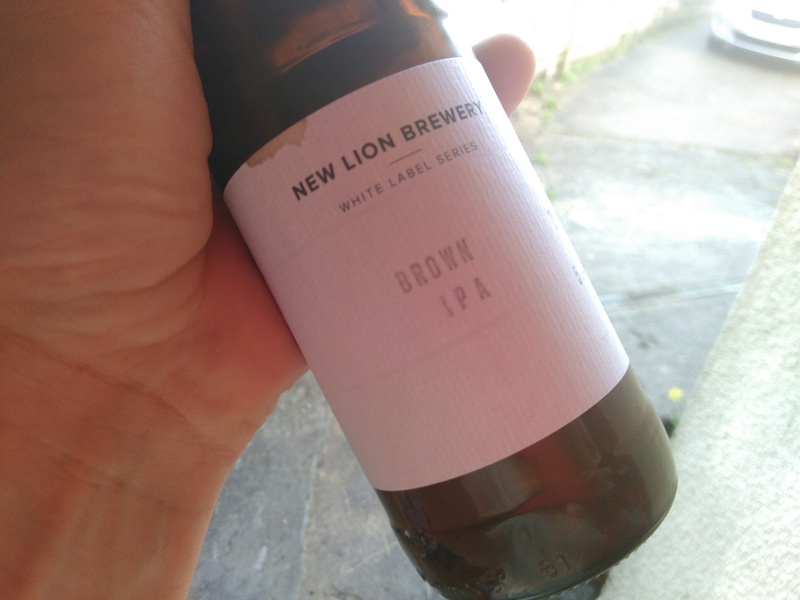 [RELEASED 10 March 2018] Our exploration of beer styles has lead us to the little known Brown IPA, with more malt character than a straight IPA it allows a judicious hop addition whilst retaining a good balance. Ours is hopped with Centennial to 10 g/l and comes in at 5.4% ABV. Possibly our most crushable beer to date. 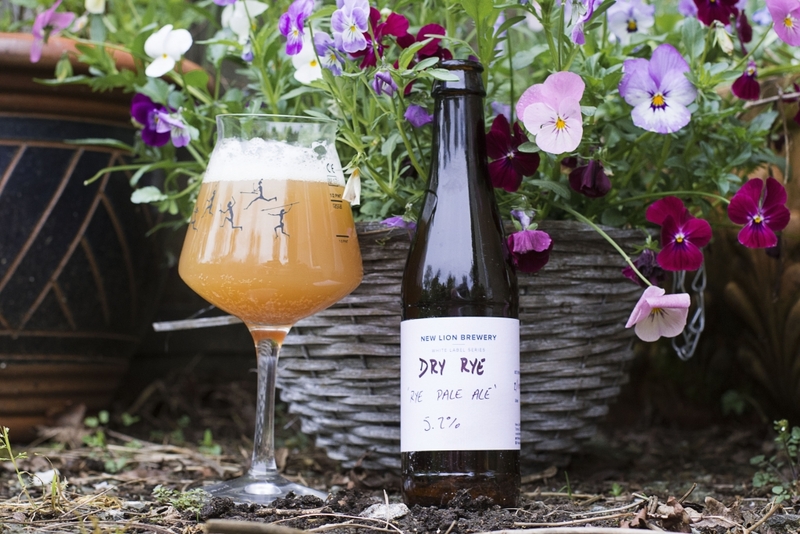 [RELEASED 9 March 2018] This beer is inspired by Dry hopped Du Pont Saison, a true ‘desert island beer’ and one of our Head Brewer’s favourites, it also has much less bitterness and a soft mouthfeel in the New England tradition. Together this produces a beautifully balanced beer which, at a sessionable 4.5% perfectly accompanies lunch…or a couple with dinner! As lovers of Saisons, barrel ageing and mixed fermentation this has been a real passion project for our brewery. 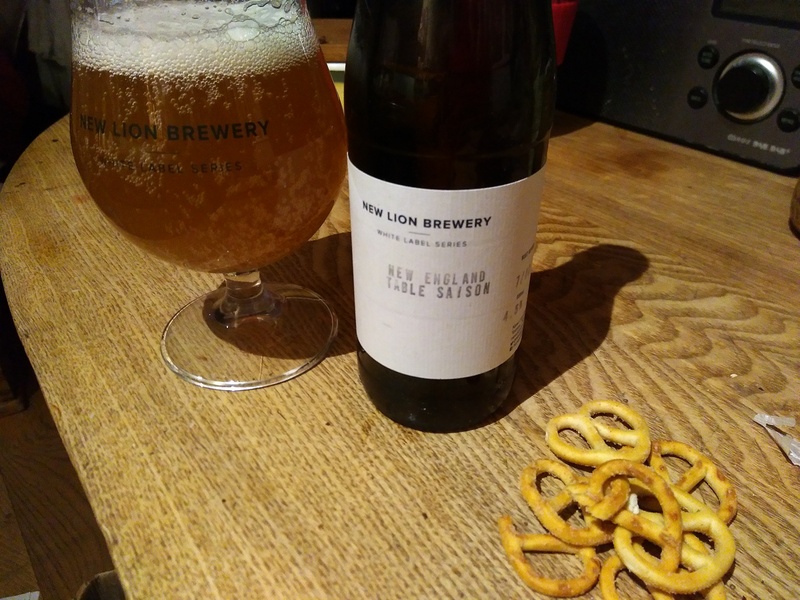 A process which began 18 months ago with our introduction to Polly at Find and Foster has produced a beer we are very, very proud of and which elegantly represents our values. 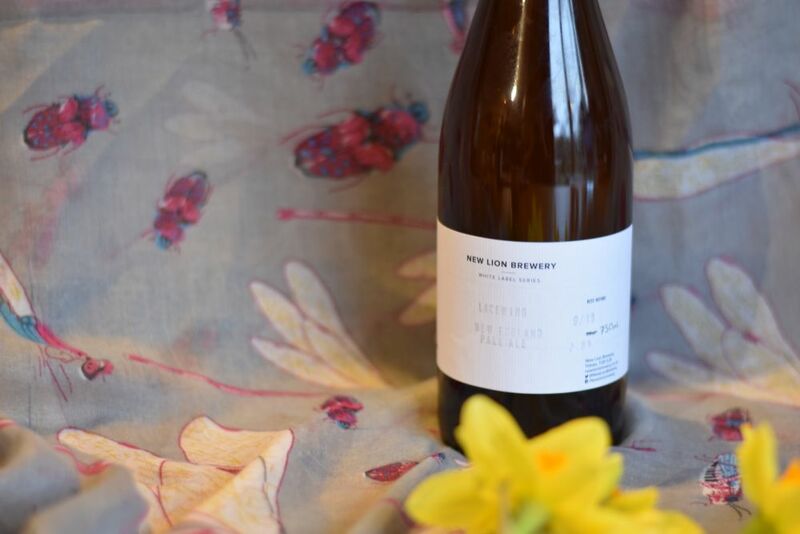 We began by producing a batch of Saison using local spelt from Grown in Totnes, once this beer had fully fermented we transferred it to a Sharpham wine barrel and introduced Polly’s wild cider yeast. 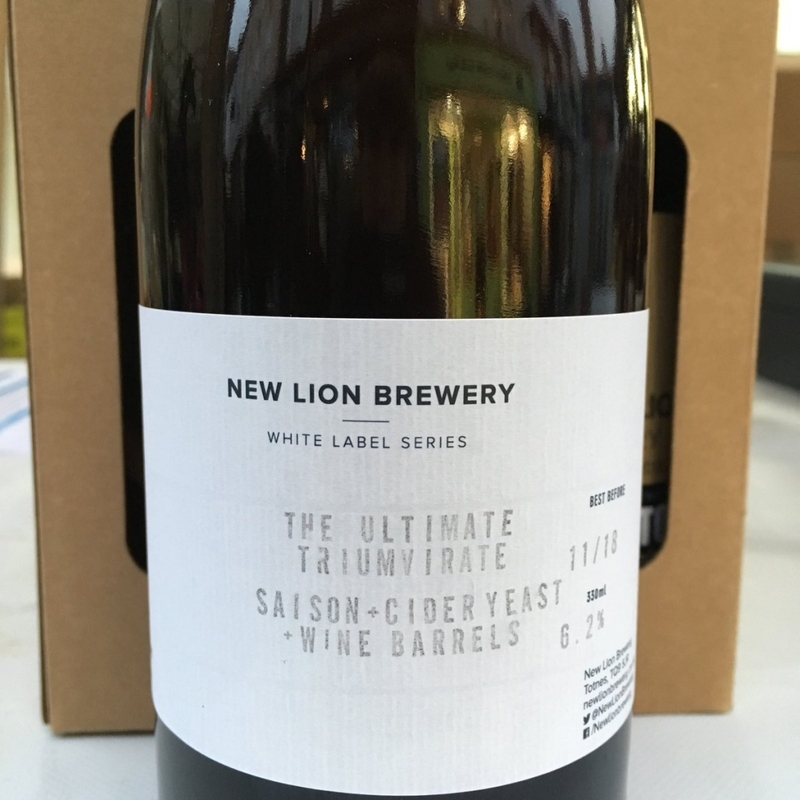 This is a yeast culture unique to the orchards of Devon and brings a broad, flavoursome array of fruit and herbal character to the beer, aromas which are foremost in the delicious ciders of Find and Foster. 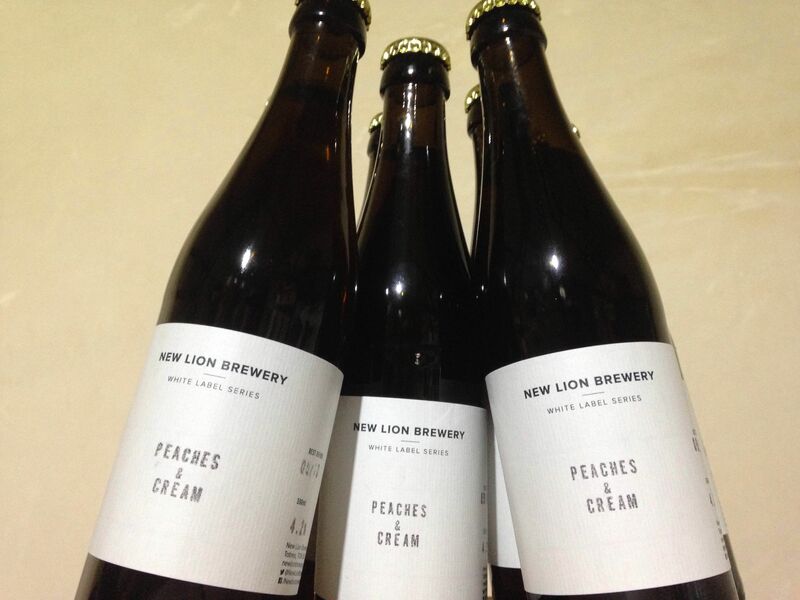 We are selling it in 750ml bottles. With delicate, refined flavours and a bone dry mouthfeel this beer pairs naturally with a wide range of foods and would be a delicious accompaniment to this year’s Christmas dinner. [SOLD OUT] D.I.B.S is the fruitful product of our four way collaboration with Devon Independent Beer Shops Vessel, Hops and Crafts and Maltings Taphouse. We pulled out all the juicy hops to produce this gem, in fact it’s our hoppiest beer so far! It’s the beer we’ve long wanted to brew but wanted to be sure to sell it fast before the hops fade, we’re grateful to our local beer fanatics for setting the stage for beers like this, long may it continue. Here are our happy craft beer bottle shop owners celebrating the arrival of DIBS on their shelves! 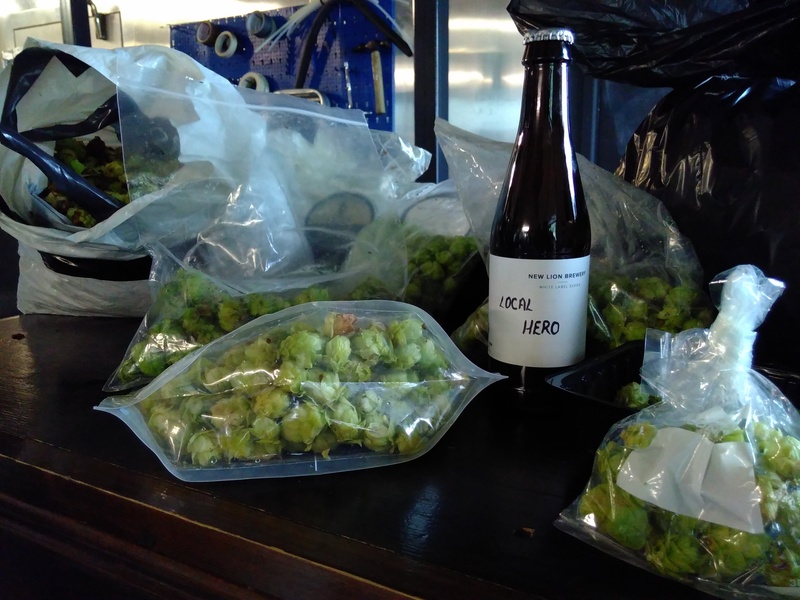 [SOLD OUT] ‘Local Hero’ is the output of the second year of our Hop Club. over 70 of our members grew hops across Totnes, in their back gardens, balconies or allotments. From those hops we’ve produced this 4.1% ale, bursting with fresh hop flavour. 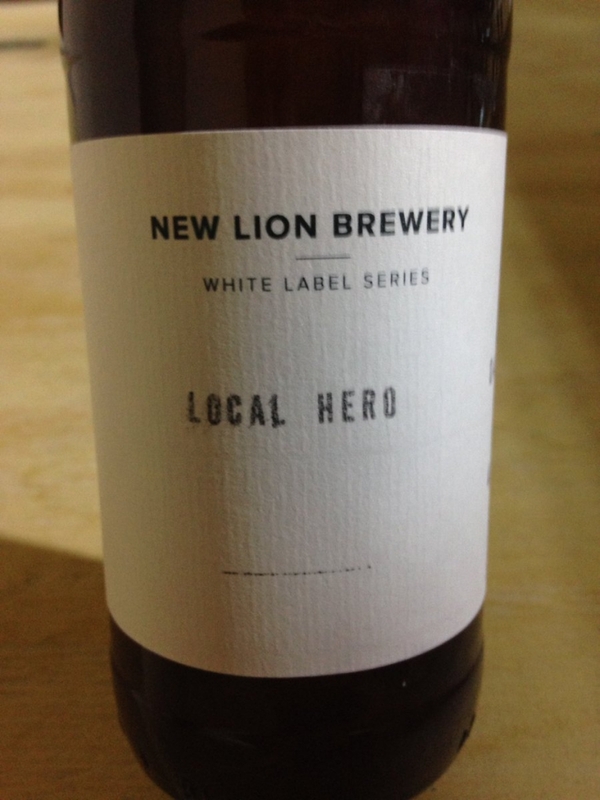 ‘Local Hero’ also uses local malts and oats, as well as locally milled pea flour, our most local beer yet. Every member of the Hop Club gets a free pint and a free bottle. [SOLD OUT] The delicious result of a long term collaboration between the Dame Hannah Rogers Trust and ourselves. Using our ‘Thirst Born’ as a base we added 300g/L of a hybridised Redcurrant/Blackcurrant/Gooseberry called a Chuckleberry, these were expertly grown by the staff and volunteers at ‘Dame Hannah’s.’ The resulting beer is bracingly tart with the Chuckleberries adding considerable acidity to the base beer alongside a lovely fruit flavour which perfectly reflects the beginning of autumn. This beer represents a deepening relationship with our surroundings and the wonderful people we share it with. Cheers. Photo: Cat S. on Untappd. [RELEASED 15 September 2017] In our pursuit of excellence here at New Lion Brewery we recently committed to managing our own house yeast culture, this demands a redoubled focus on hygiene, processes and quality assurance. As a large stride towards this, for wort aeration we started using pure oxygen instead of air. This allows us to brew much, much better high ABV beers, the first of which is our 7.5% Double Stout. This is an exact replica of our Stout recipe but with double the ingredients. Bigger, bolder, thicker, ‘chocolatyer’. Delicious! 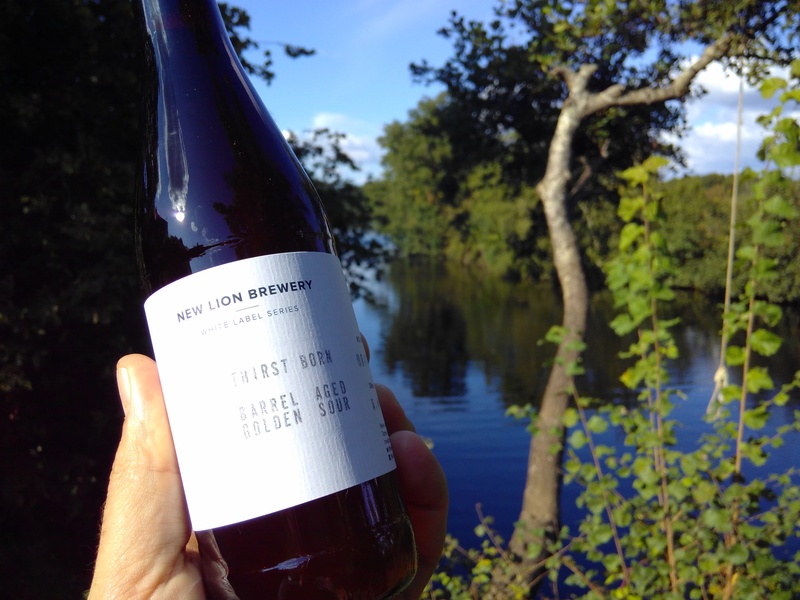 (SOLD OUT) We are excited to unveil our first sour beer ‘Thirst Born‘ the result of a 9 month project. For this beer we followed a traditional Pilsner and Wheat grist but added a touch of local Spelt which brings a wonderful nutty character. 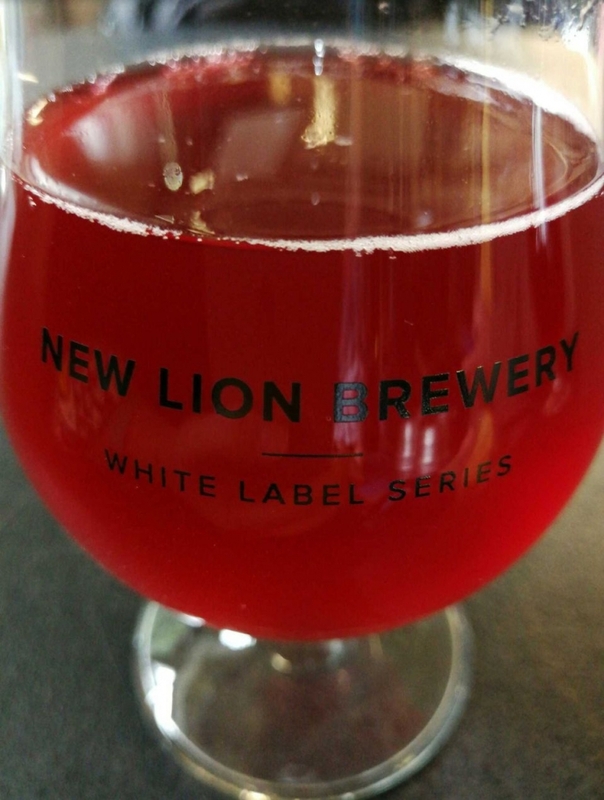 We fermented this wort with our flavourful Saison strain and then barrel aged this beer in an ex-Sharpham wine barrel for 8 months with a blend of 8 different Lactobacillus strains. Over time the beer has acidified and gained great complexity from the wine and oak. It’s name celebrates the arrival of William Henney, first-born son of our Head Brewer Mat and his wife Ursi. The resulting beer is dry, tart and thirst quenching with subtle cider, vanilla and cereal character. We will be using this beer in the future as a base for adding local fruits- keep your eyes peeled for our upcoming Chuckleberry Sour. (SOLD OUT) Many great artists will be in Totnes for Sea Change Festival, organised by The Drift Record Shop, but one we’re most excited about is Ryley Walker. We couldn’t help but mark the moment with a new beer (his ‘Primrose Green’ LP is a brewery favourite). 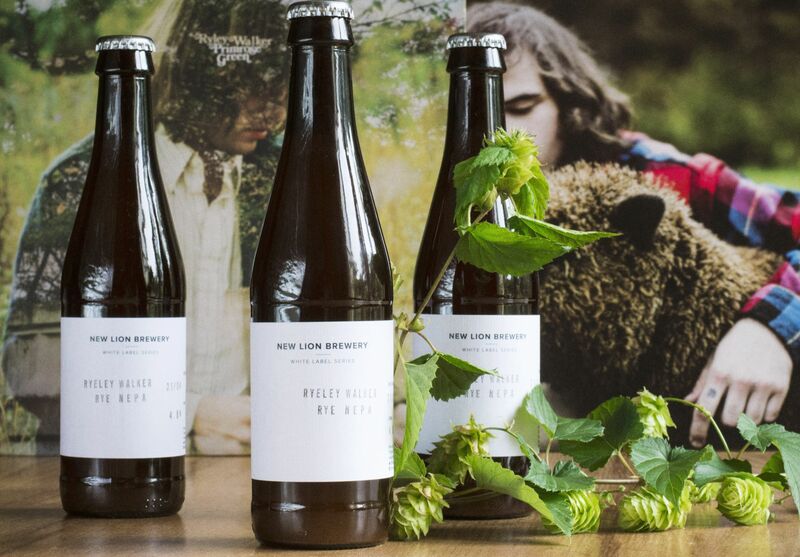 ‘Ryeley Walker’ is a rye New England Pale Ale, at 4.8%, a limited edition White Label Series release which will be available from the brewery during and, depending on demand, after, Sea Change Festival. We can also announce that he will be PLAYING IN THE BREWERY, as one of the 2017 ‘New Lion Brewery Sessions’, on Saturday at 5pm (others tba). The sleevenotes of ‘Primrose Green’ describe it with three words that could also neatly describe our approach to brewing, “humility, community, transcendence”. Don’t miss it. 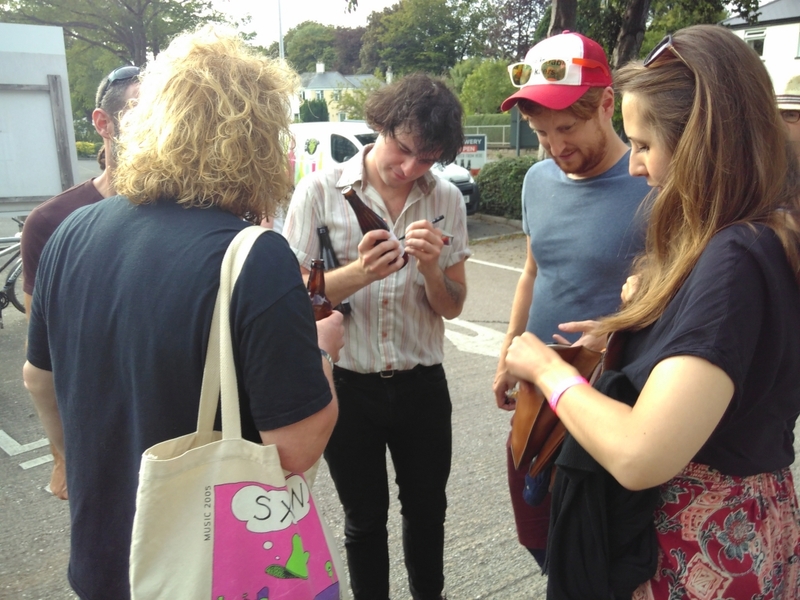 Not every artist ends a gig with a bottle-signing. Ryley Walker does! 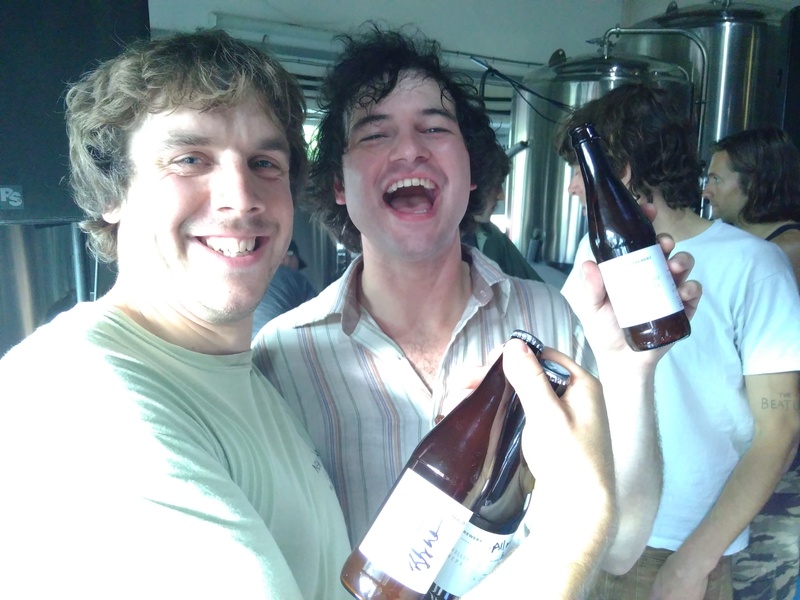 Ryley Walker with our Head Brewer Mat Henney and newly-signed bottles of Ryley Walker. 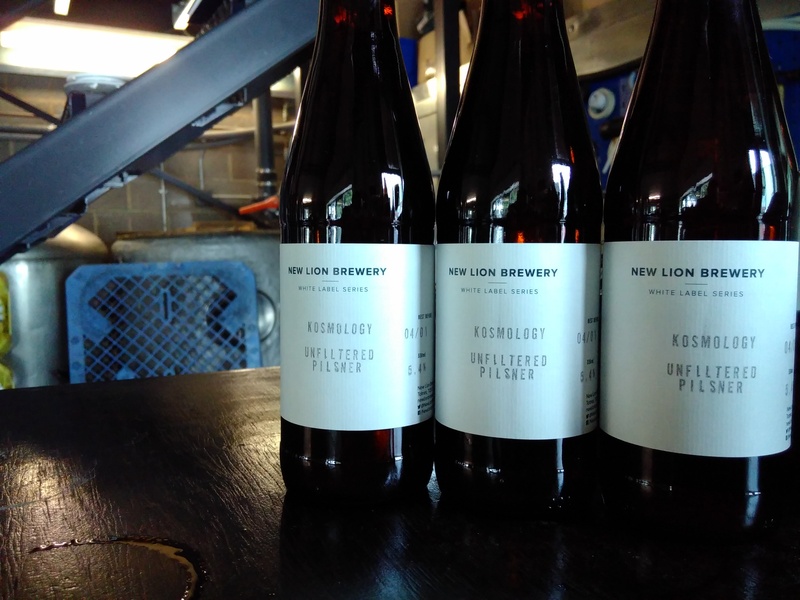 [SOLD OUT] Never afraid to try new things, we are delighted to announced that Kosmology Unfiltered Pilsner is available as of today in our White Label Series, from the Brewery, and also from Vessel in Plymouth and from Hops and Crafts in Exeter. This is the classic summer beer. In the mash tun our Pilsner uses soft Totnes water and Bohemian Pilsner Malt with a little touch of Munich to approximate a complex decoction profile. To balance this malt character we added generous measures of Saaz hops to the copper and conditioning tank where prolonged lagering has melded these flavours. The result is a crisply refreshing beer with superb balance. [SOLD OUT] This is a beer we are exceptionally proud of and which epitomises what we are working towards here at the brewery. Our delicious local bakery ‘The Almond Thief’ set aside all their unsold bread over a week and we used that bread in the mash tun to produce a fantastic Barleywine, we then aged this beer in a Sharpham red wine barrel for 9 months with a subtle Brett addition. The result is a beer with a rich, full bodied character balanced by a gentle acidity from the wine and a complexity from the oak. Don’t miss out! We launched it at a party we held, so here’s a video about it, which also tells you more about the beer. Available from the brewery in 750ml bottles. 16. Tea Q9 is back for 2017! Our refreshing summer ale, made with a hint of Earl Grey Tea. 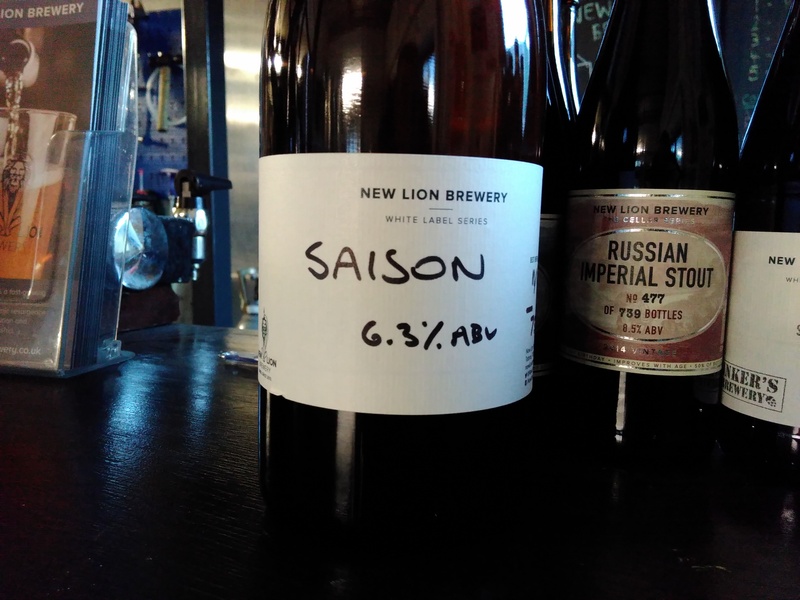 (SOLD OUT): This is our second attempt at the delicious Saison style. 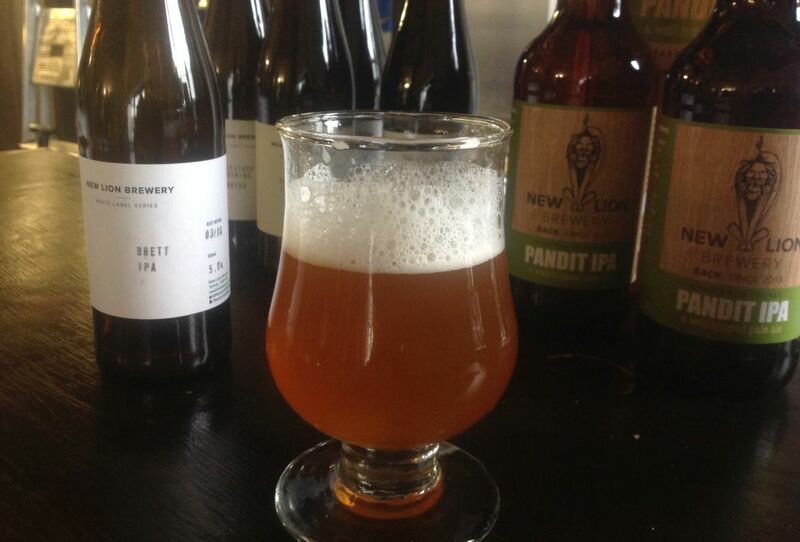 This time we used Huell Melon & Amarillo hops and made a slight adjustment to the water treatment. This has created a flint dry beer with refreshing carbonation coupled with subtle hop aroma and classic Saison yeast character. Half will be heading into a Sharpham wine barrel with yeast from Find and Foster Cider. It is available from the Brewery now, limited to 250 bottles. (SOLD OUT): To celebrate 10 years of Transition in Totnes, we have created a very special White Label, one that represents a real departure for us. We have added 10 grams per litre of incredible Equinox hops and a measure of local honey from Stephen Summers’ Totnes-based bees into this very celebratory beer, along with generous amounts of rolled oats to provide a rich, creamy mouthfeel. Close your eyes and think of mangoes, locally grown of course. For the first time, it comes wrapped in a beautiful artwork, designed by Alisha Coetzee of Brand Artisan, which captures ‘I loved the moment when’ reflections on 10 years of Transition. The beer is 4.4% ABV. 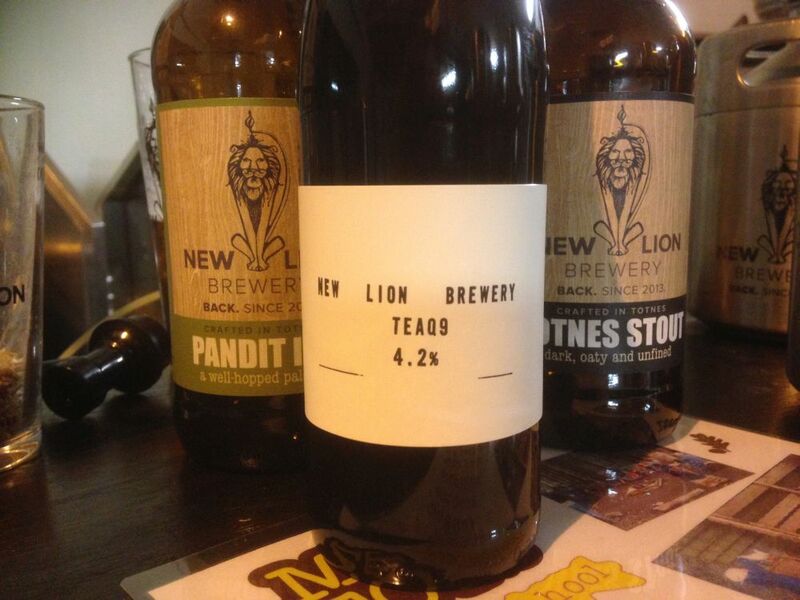 The beer’s amazing too, recently described on Untappd as “best beer in Devon by a mile”, and featuring local honey. 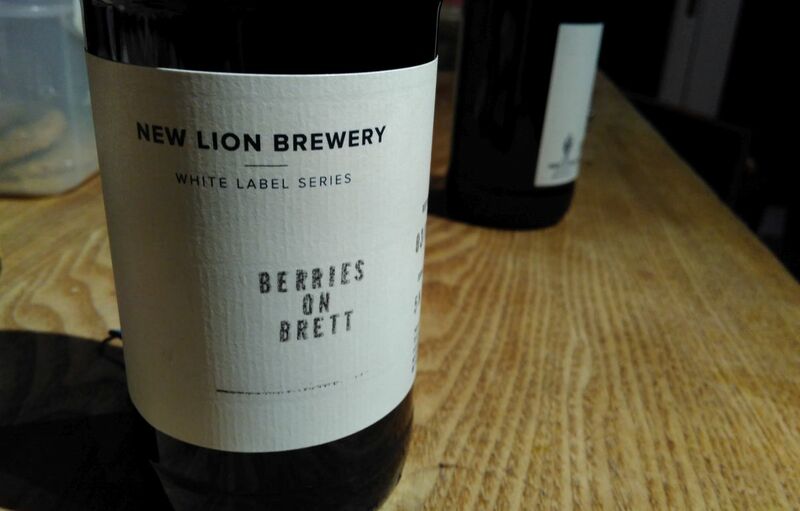 (SOLD OUT): A beer brewed in collaboration with Hannahs at Seale-Hayne which uses their Chuckleberries and blackberries in Pandit fermented with our house Brett blend. 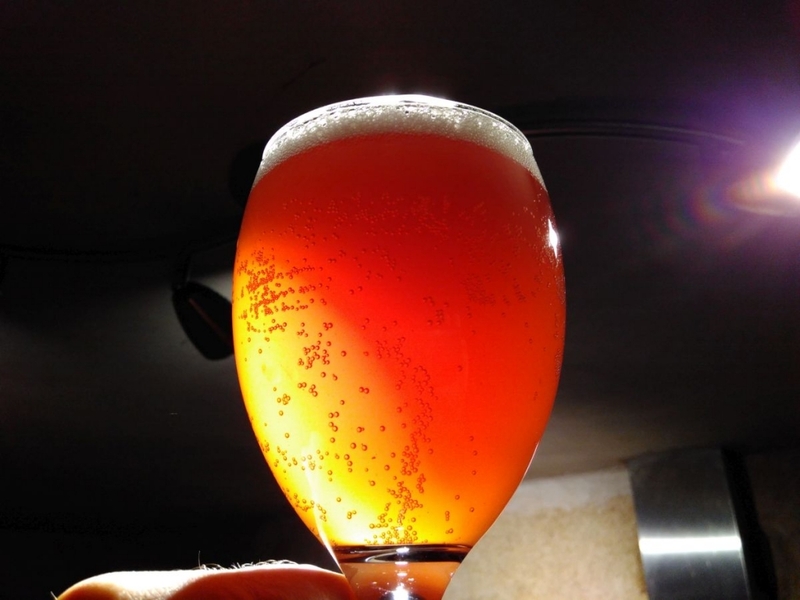 Pouring a vibrant blush colour and intense fruity aroma this is definitely one we’ll be brewing again! (RELEASED 13 January 2017: Sold out): What is Einkorn? And why would you make a Gruit with it? New Lion’s Head Brewer Mat Henney and Grown in Totnes’ Holly Tiffin tell the story of this super-limited White Label, and reflect on what such a collaboration could mean for the future of brewing. (RELEASED 17 DECEMBER 2016: Sold out): (6.3%). 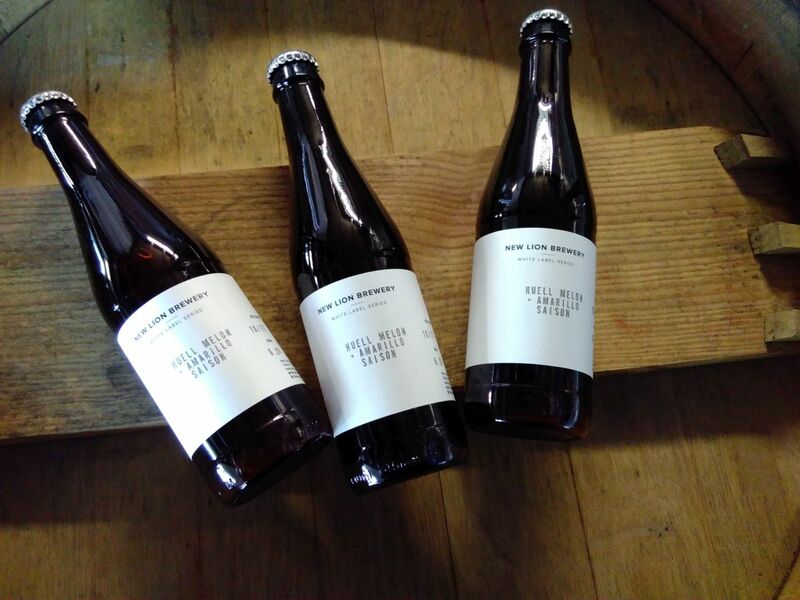 Five months aged in Sharpham red wine barrels with our house Brettanomyces blend has added greater depth, complexity and drinkability to our Saison, now reminiscent of a well made cider. Due to the uniqueness of each barrel and the ambient temperature in our storage unit this beer cannot be reproduced, enjoy it while you can. (RELEASED 15 December 2016: Sold out): 6.3% Our first attempt at this classic style and a beer we are very proud of. The use of a particularly flavoursome yeast strain and a high fermentation temperature leaves this beer dry as a bone and a beautiful aroma which sits perfectly with the apricot character of German Hallertau Blanc hops. (RELEASED 7 October 2016: Sold out): ‘Local Hero’ is the output of the first year of our Hop Club. 45 of our members grew hops across Totnes, in their back gardens, balconies or allotments. From those hops (see a video of our harvest day here) we’ve produced this 4.1% ale, bursting with fresh hop flavour. ‘Local Hero’ also uses local malts and oats, our most local beer yet. 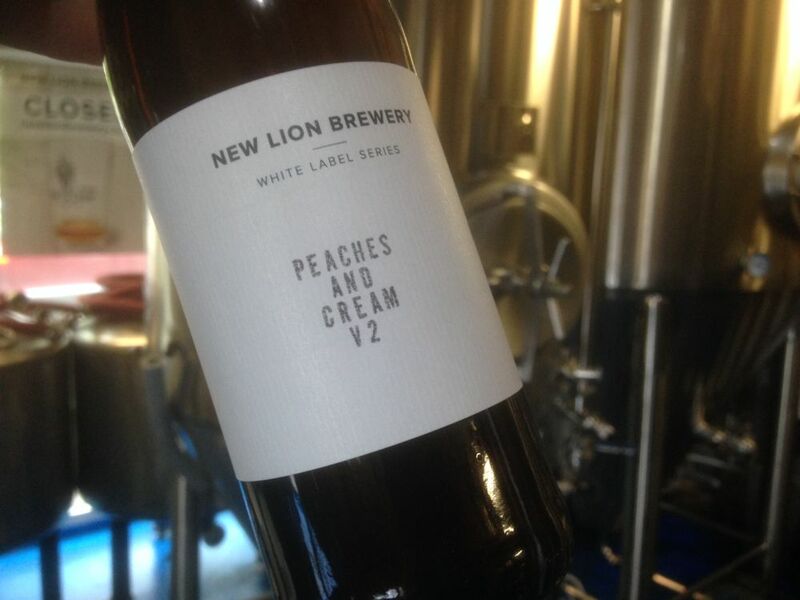 (RELEASED 7 July 2016: sold out): A second, slightly amended version of Peaches and Cream, which sold out in two hours last time. It goes on sale on Friday 7th July at 5pm. Limited to one bottle per person. Form an orderly queue! 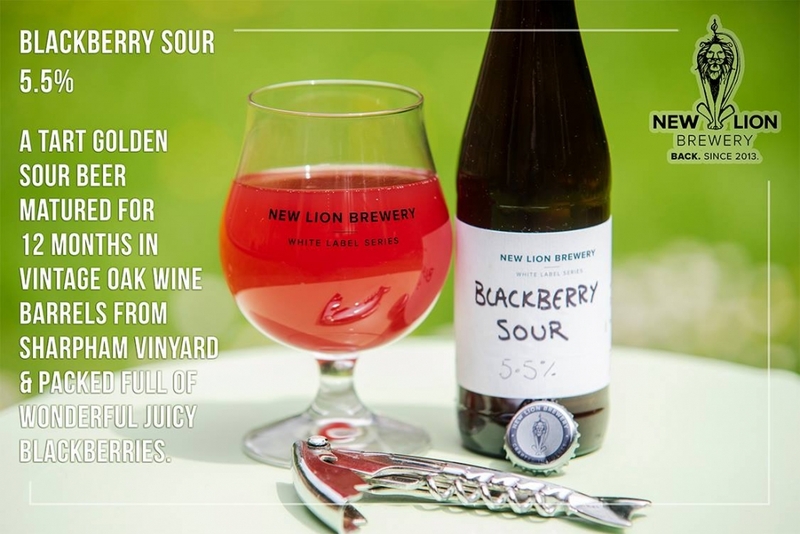 (RELEASED 17 June 2016: sold out): An apple, blackcurrant and wild nettle pale ale aged with Brettanomyces yeast. 4.9% ABV. Delicious. Made as a collaboration with Totnes social enterprise Wild & Curious. You can read more of the story of this beer here. About 30 bottles released. (RELEASED 19 MAY 2016: just 24 bottles available: sold out): A milkshake IPA, brewed with spelt flour and lactose sugars. A huge hop aroma of peaches from the Citra and Mosaic hops. Created by our apprentice Rowan. 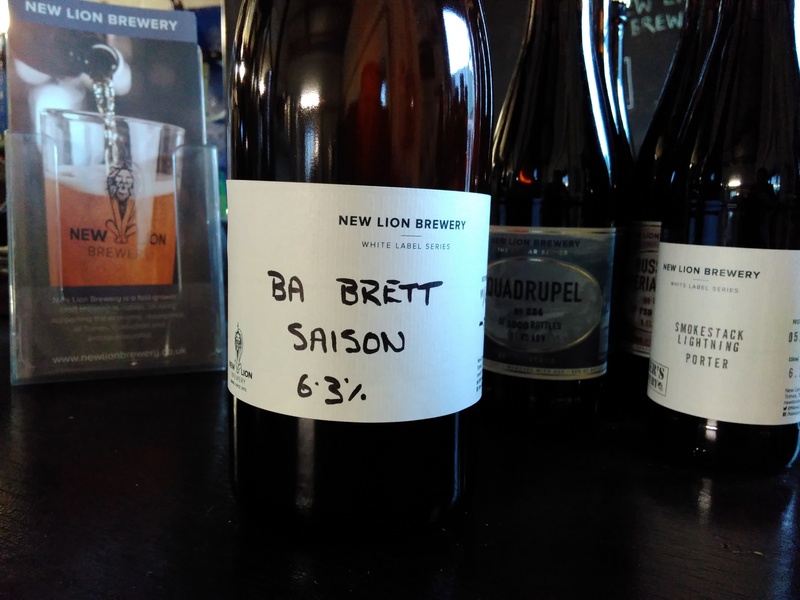 (RELEASED 11 FEBRUARY 2016: sold out): We produced a remarkable beer called ‘Brett IPA’, and bottled just 100 bottles of it. Here is a video where our Head Brewer Mat tells you all about it… No longer available. 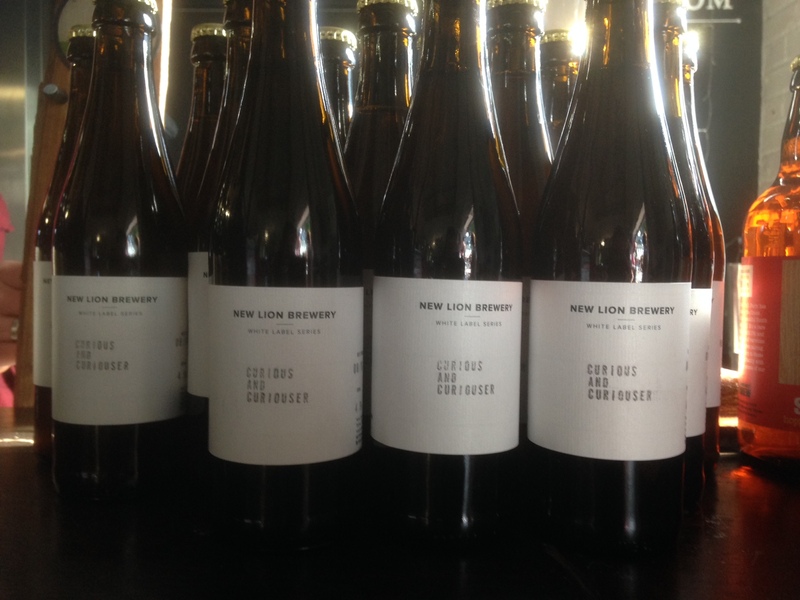 (RELEASED 22 JANUARY 2016: sold out): Our Apprentice Rowan just made his first beer to make it into our White Label Series! He describes it as “hoppy with a crisp bitterness and smooth body”. 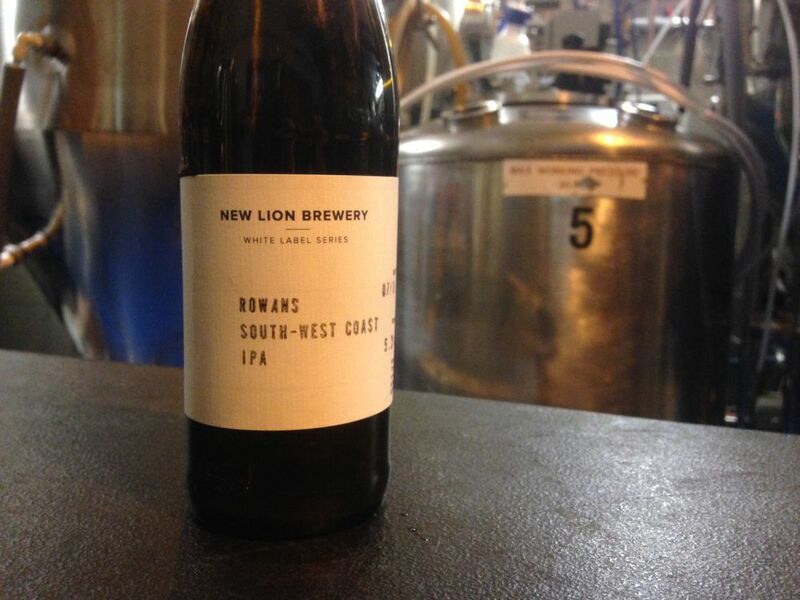 Below is a short video where Rowan introduces his beer. Just 72 bottles went on sale at our Brewery Bar on 22 January 2016, and they all sold out very quickly. 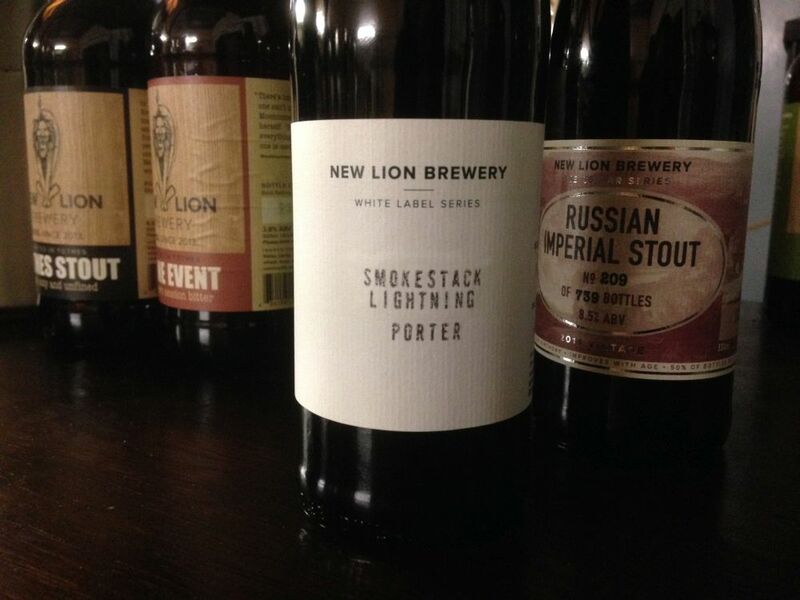 (RELEASED DECEMBER 2015: not currently available): our smoked porter, created as a collaborative brew with Tinkers Brewery. No longer available. (RELEASED JULY 2015): our refreshing summer ale, made with a hint of Earl Grey Tea (no longer available).